Overview: No reels, the slot is played on the hexagonal 61-cell grid. Winnings are paid for 5 or more alike symbols adjacent by sides.Features: Wild symbol, Crystallized symbol, Crystal Bonuses,Winning Multipliers,Random Wild symbols and Crystal Crush. Wild symbols substitute all symbols except crystallized symbols. Each ordinary symbol has its progress bar, by filling which you get bonuses which affect this type of symbols. Crystallized symbols fill in the progress bar of the corresponding color symbol. To crush a crystallized symbol, gather a winning combination adjacent to it. Crushed crystallized symbols become ordinary symbols. 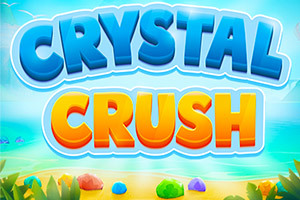 Every third crushed crystallized symbol grants a new bonus level. 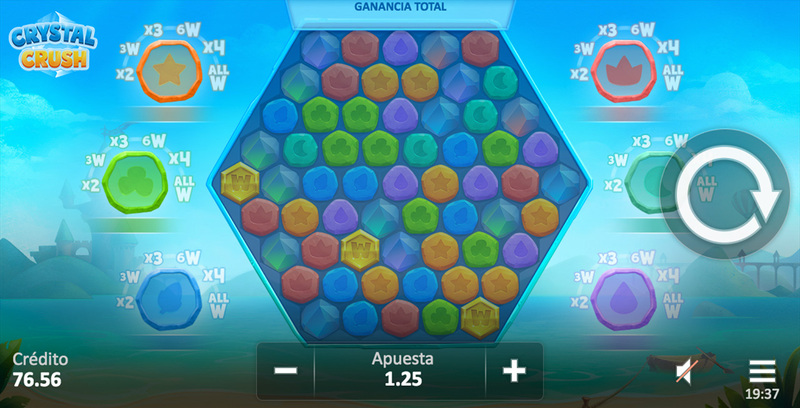 Bonuses generated simultaneously activated in succession. There are 6 levels of bonuses! !